Masters in Business Administration degree, University of Canberra, Australia. Organizational Behavior, Leadership, Ethics, Conflict Management, Customer Service and Marketing. Research and Consultancy in Services Sectors. “Master Trainer”, for Local Leaders. 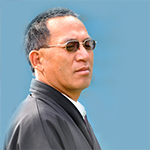 Thinley is a lecturer in Organizational Behavior and Marketing in Post Graduate a Diploma and Masters Courses. Conduct E-learning Programme on Ethic and Integrity in the Country. Train Local Leaders under Department of Local Governance. Conducts training in Gender related courses. Design and Conduct short training courses to senior and middle level managers. As the Registrar, contributes to development of plans and policies of Institute. Service delivery in the local government. Leadership and integrity at higher/middle/lower managers and leaders in organisations. Marketing in the service sector.